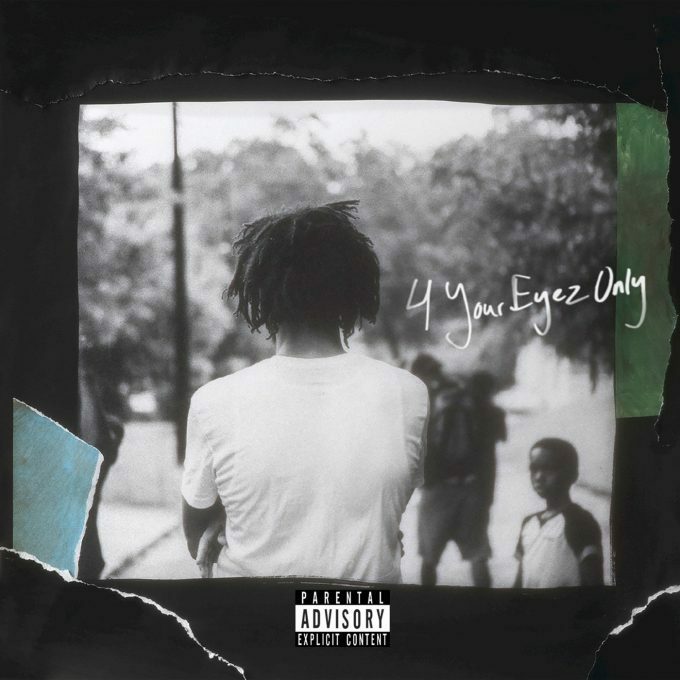 It has only been a few days since the surprise announcement of 4 Your Eyez Only, and the few singles that he has released were promising, showing a hint of the flair that we saw with FHD but with a touch more originality. Hopes were high going into the album, and all things look poised for a repeat of his prior success. It is a conflicting album for me. The production is great, if maybe a bit quiet, being dialed back a bit from the more bombastic tracks he had produced before. The songs take a softer tone, almost loving in some cases, and it creates a really interesting and inviting sound as he mixes together different beats and instruments that blend together into something more than the sum of its parts. It follows the trend that I've seen a lot this year where the entire album starts to sound similar, carrying on one tone all the way through. It isn't quite as melancholy as blond, but the more reserved sound is a good fit for Cole. A part of me misses the harder spitting tracks of his previous albums, but I think that he has created a space for himself with the softer sound of this album. The problem that I have here is with the lyrics. They simply aren't able to stand up next to the production as a pillar for the album to rest on They are surface level and lack all of the depth that I truly love about hip-hop. There is no confusion about what he means, because he says it. If he is sad, he'll drop a bar about how he is sad. And while there isn't anything here that is quite as wince-inducing as "Wet Dreamz", there are still some pretty trash lines. He thinks a girl is pretty but he is sad she has a boyfriend. You know J. Cole would treat her right, he says so. And he keeps talking about women giving him head. Like more than usual. He wants to fold clothes for his woman, because he values her as a person and not an object, and that is what a good man does. In some ways it is a sweet line, but listening to a song called "Foldin Clothes" for the fourth time will really start to make you question things. It is honestly baffling the things that he says at some points in these tracks. He sounds generic, like a SoundCloud rapper and not an international superstar, and contrasted with the excellent production, it just becomes more disappointing. That being said, there are a few tracks that stand out as being good. I like "For Whom the Bell Tolls", "Immortal", "Deja Vu", and "Neighbors". It's a big surprise that these are the less cheesy songs on here, and occasionally he lays down a few dope lines. When he does, it all clicks together and you can see what J. Cole could be. "She's Mine" parts one and two are earnest and sweet, although a little creepy when he mentions blowjobs in a romantic song. I wish it had all come together more often. It just doesn't do what it could, and it remains trapped in a space where it doesn't belong. Production that's good and lyrics that are bad. It's interesting to listen to a few times, but I can't see it having any lasting power for me at all.